Hello! I’m playing bonus slot Path of the Penguin at the BlackJack Ballroom online casino app. 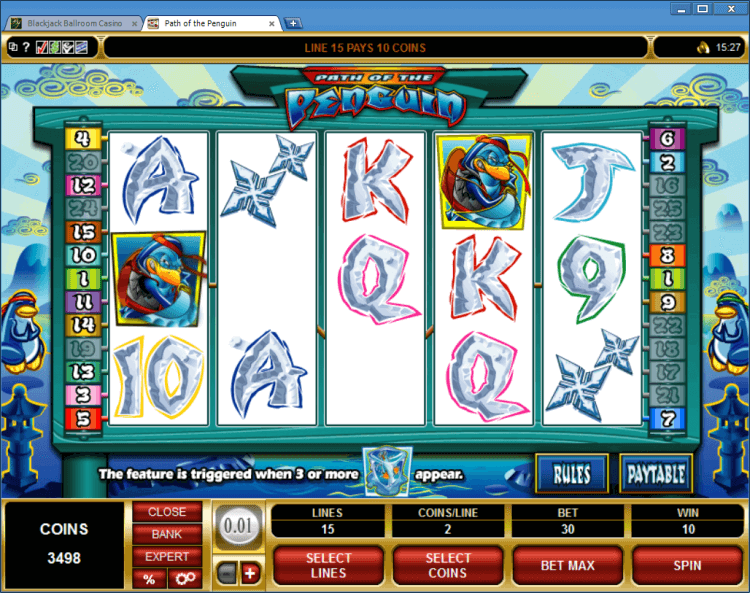 Path of the Penguin is a five reel, twenty five payline and five hundred coin slot machine. 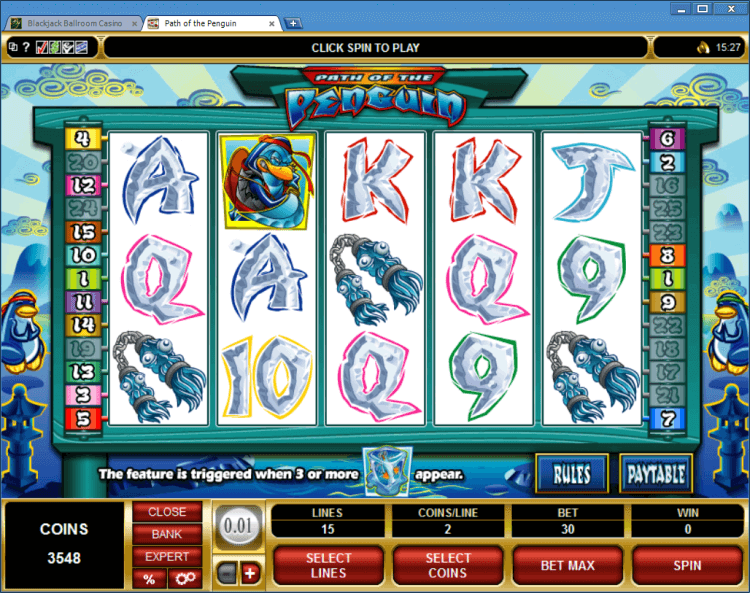 You can click a Select Lines to select the number of paylines you want to play. As you can see I selected 15 lines with 2 coins, so I play the bet 30 coins. The Penguin symbol is a wild symbol. This symbol doesn’t substitute for the scatter symbol and creates its own winning combination. The Ice Cube symbol is a scatter symbol. This symbol completes a winning scatter combination when two or more appear on the reels. 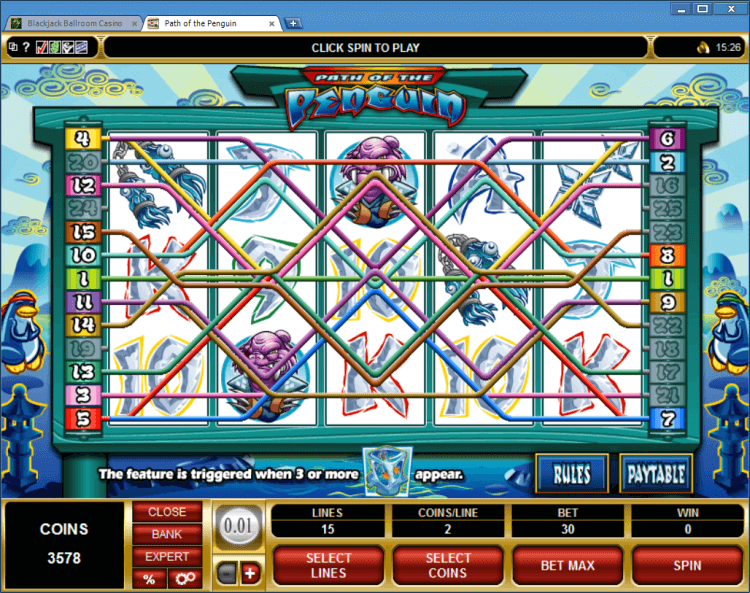 Three or more Ice Cube symbols scattered on the reels activate the Path of the Penguin bonus game. 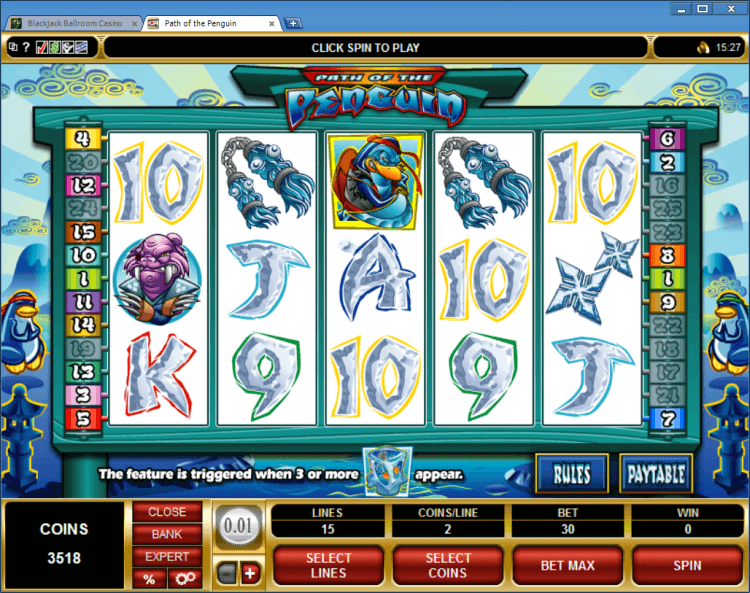 In this game you are awarded five free spins.